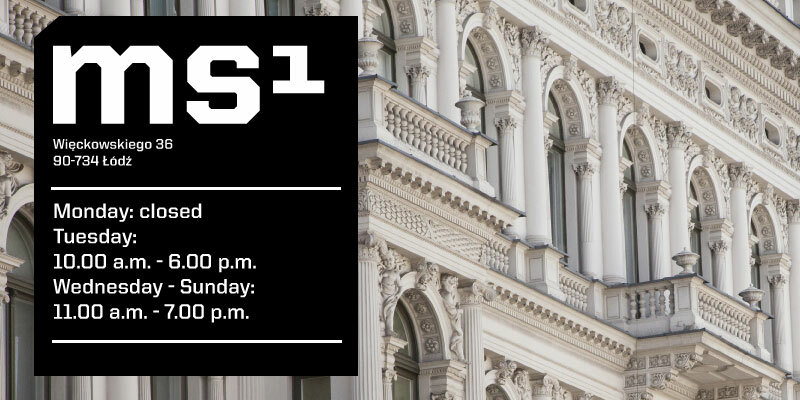 On May 1 and 3 Muzeum Sztuki in Łódź will be open from 11 am to 7 pm. Tuesday: 10.00 a.m. - 6.00 p.m.
Wednesday - Sunday: 11.00 a.m. - 7.00 p.m.
Due to the renovation of buildings B,C and J, as a part of the Operational Programme Infrastructure and Environment, the library is closed until further notice. We apologize for any difficulties and inconvenience.